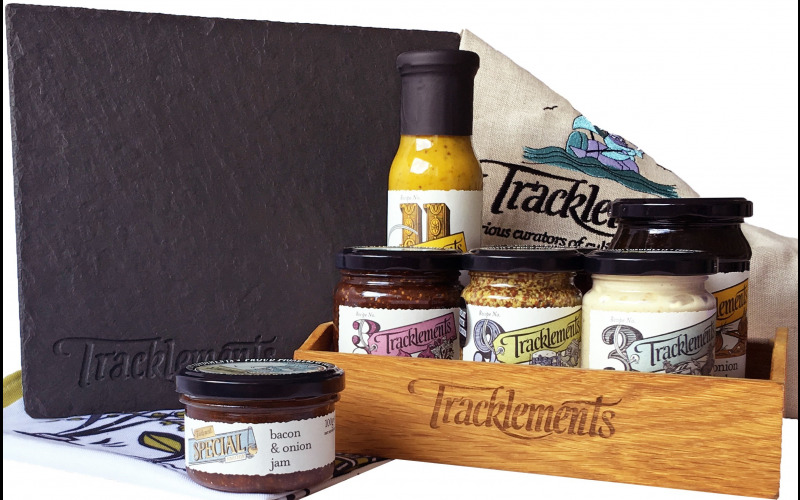 We’ve teamed up with Tracklements to offer five lucky readers a Condiment Caddy filled with Tracklements award-winning goodies including the Special Edition Chilli & Chorizo Jam, an engraved, artisan slate cheeseboard, a rather classy apron and a charming tea towel. Special Edition Chilli & Chorizo Jam is the perfect antidote to a nippy April, or any month actually, that could benefit from a bit of heat. The spicy, pan-fried sausage based on a time-honoured recipe from the fabulous boys at The Bath Pig, along with chillies, red peppers, a careful blend of ground spices and a dash of cider vinegar deliver a flavour-packed punch of unctuous ‘jam-iness’, where a little goes a long way. On crackers with cheese (Manchego is particularly good), with rarebit, in sausage sandwiches, on burgers, on eggs, in bacon butties, a spoonful in a corned beef hash, with fish and shellfish and in pasta sauces - there’s no end to the joy this little jar can bring.